Many quilters and sewers don't restrict their creative abilities just to quilting and sewing when there's a whole range of fibre arts out there to try - we've just extended our range to include tools for some of these, so now we really should be a one-stop shop! Firstly, one of the most popular crafts there is - knitting. We now have a whole collection of knitting needles, including 25cm knitting needles, longer 40cm knitting needles, lightweight and flexible bamboo knitting needles and circular knitting needles for stitching without seams. Also available is a range of knitting accessories such as point protectors, stitch holders and cable needles - everything you need to knit up a storm! 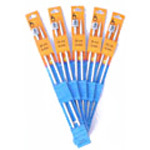 Another hugely popular wool craft is crochet, and we now offer a full range of crochet hooks and accessories. With steel crochet hooks for fine lace work, aluminium and plastic larger crochet hooks for use with yarn, and double ended Tunisian crochet hooks for afghan stitch, there's something for all aspects of crochet. 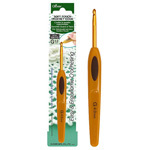 We also stock the full collection of Clover soft touch crochet hooks, from 0.6mm up to 6mm - if you're seriously into crochet these ergonomically designed hooks cannot be beaten for comfort. Rising in popularity in recent years is the art of feltmaking, more specifically dry needle felting where felt shapes can be made by repeatedly stabbing fibres with a dry felting needle, the finished result being perfect for decorations and embellishments. 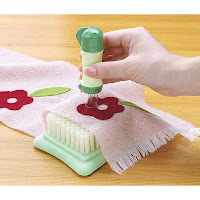 We now stock a range of tools for needle felting, including the handy Clover needle felting tool and several foam blocks and felting pads. Finally, speaking of embellishments, now available on the website is a collection of pom pom makers and yo yo makers. 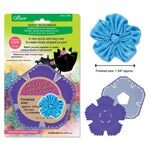 Always fun to add to garments, bags and of course, quilts, these fun little fabric ornaments are quick and easy to make using these popular Clover tools - the range includes shapes such as hearts and flowers as well as the classic circles. Hopefully we'll now be able to cater for more of your needs, or maybe inspire you to try out some of these fun crafts!